The way we search online is changing. In the past, we would fire up a search engine on our desktop or laptop, type in the specific words focused on exactly what we were looking for, and then be presented with a SERP (Search Engine Results Page). However, searching online is no longer limited to just desktops, laptops and specific keywords – but is now increasingly mobile-first and concerned with the ‘context’ and ‘intent’ behind a user’s search. This means that search engines today are focused on understanding the actual nature of an enquiry rather than just the keywords used. Now, search engines assess a number of variables, including: location, proximity, previous searches, user behaviour, device, language and other factors, to deliver more relevant and accurate search results. In addition, search has also become much more conversational and real-time. For example, we can speak to voice assistants such as Siri on our mobile phones, or Alexa at home, asking them specific search queries in the same way we would type a query into Google’s search engine. Previously (5-10 years ago), if you were looking for an Italian restaurant in London, you would simply type into Google: ‘Italian restaurant London’. But modern search is no longer about simple queries and is increasingly based on user intent and context. For example, think about how you would ask that same question to a friend of yours; that question could be: ‘do you know any italian restaurants near me?’ or ‘where’s the best italian place to eat in London?’. Similarly, from a business perspective, think of all the different ways that you can phrase the question of ‘how to create a Twitter page’ to express different search intent. While similar, each of these terms indicate a different user context and search intent. There is a clear difference in intent between someone searching for ‘How to set up a Twitter page’ versus someone searching for ‘Twitter page template’. Regardless, both topics are relevant to that user’s interests. The problem is that marketers have been too focused on building our writing around long-tail keywords. Rather than basing our content on a combination of keywords, search intent and context, we have been trying to create one piece of content per specific keyword. This due to the fact that it's so hard to compete on more 'generic', single phrase keywords such as ‘Twitter', as companies with large wallets have already invested a large amount of their spend into ranking for that term. However, over the last couple of years, marketers have started to move away from writing one piece of content per long-tail keyword and are instead trying to establish authority in topics through ‘content clusters’. The idea of content clusters is that, instead of writing content to cover every keyword term, we create one piece of content that covers one topic comprehensively. This central topic is the authoritative source – or the pillar page. Then you surround this pillar page with sub-content; thing such as web pages, blogs, eBooks and the like, all of which link back to and from the pillar page. By using content clusters, you establish yourself as an authority on a specific topic in the eyes of Google, whilst providing a library of content relevant to a user’s search intent. As a result, you can get more traffic with less (but highly specific) content, which sounds great, right? So, rather than writing lots of blog posts on a single topic, you write one authoritative piece on a large topic and surround it with relevant sub pieces. Make sense? If it doesn’t don't worry, because HubSpot have announced a tool that will help you on your way! HubSpot have announced a new tool called ‘Content Strategy’, which you can find in your HubSpot Marketing portal. 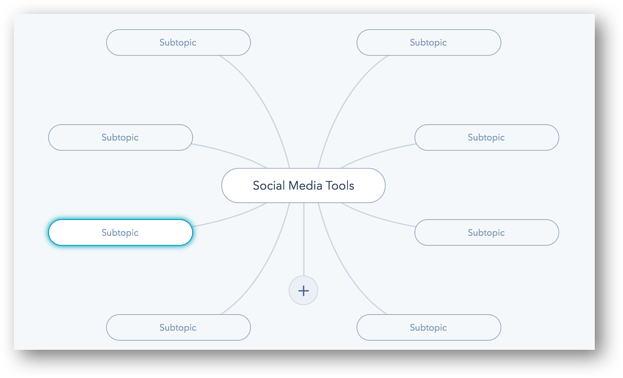 This tool helps you to build content clusters and brainstorm awareness stage content to link to your central pillar topic. In order to find the Content Strategy tool, simply click on Content on your navigation toolbar and then click on Strategy. 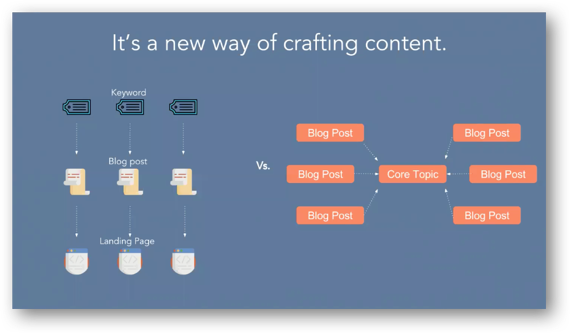 Once you have navigated to the Content Strategy tool, the first thing you need to do is to decide on a ‘pillar’ topic and its associated pieces of content. The pillar piece of content needs to serve as an overarching topic that can introduce the individual topics seamlessly and in a logical manner. It can be long form – but remember it needs to be a web page that Google can crawl, so not a PDF! 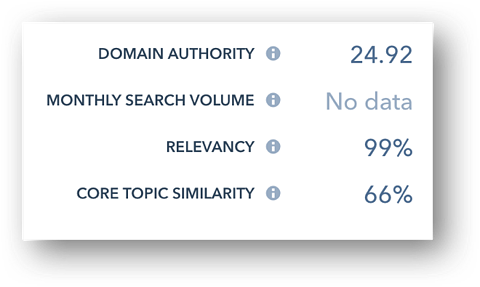 Domain authority: Created by SEO software company Moz, Domain Authority (DA) is metric ranging from 0-100 used to assess the trustworthiness of your site. It is based on the number of links from other sites you have and the authority of those domains. The more authoritative your domain is, the more likely you are to rank well for search terms against competitors with lower DA’s. Once you’ve decided on your core topic, you can start to insert sub-topics into the spider. Once again, HubSpot will provide you with some guidance and examples to help you with content ideas. You’ll notice at this point that the ‘core topic similarity’ is added to the list of three pieces of information; this looks at how relevant the sub-topic content is to your main pillar page. Furthermore, HubSpot helps you to ensure that there are actual text links between your pillar page and the sub-topic page, as this is vital for Google to understand the relationship between the pages. If there’s no actual link between the two pages, HubSpot will flag this up. Lastly, once you have created your topic cluster, HubSpot will start reporting on its performance – as shown below. 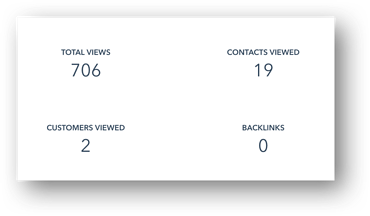 Knowing how many page views and exactly who, from your contact database, viewed those pages is important to understand what’s working – and what isn’t. In addition, it enables you to see how many backlinks your content cluster has, as well as where they are coming from. As backlinks remain one of the best ways to improve your search rankings, that’s vital information. HubSpot’s Content Strategy tool provides marketers with a sophisticated, streamlined and effective approach to content creation. Instead of creating topics based solely on keywords and hoping those pages rank well, marketers can use HubSpot’s Content Strategy tool to build specific pillar topics and surround those topics with high-quality content that’s relevant to the initial search enquiry. Over time, as that library of content grows and is found by interested parties, Google begins to see that page as a source of authority, improving your Page Authority and overall Domain Authority, and you start to rank higher on Google SERPs. Are you looking for Support to ensure that you're using HubSpot's Content Strategy tool to boost your content marketing efforts? Find out more information about our HubSpot Support Services.